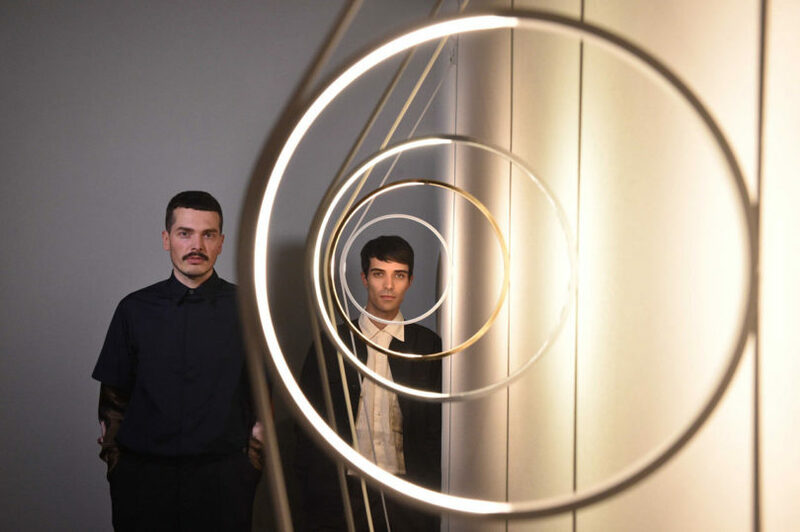 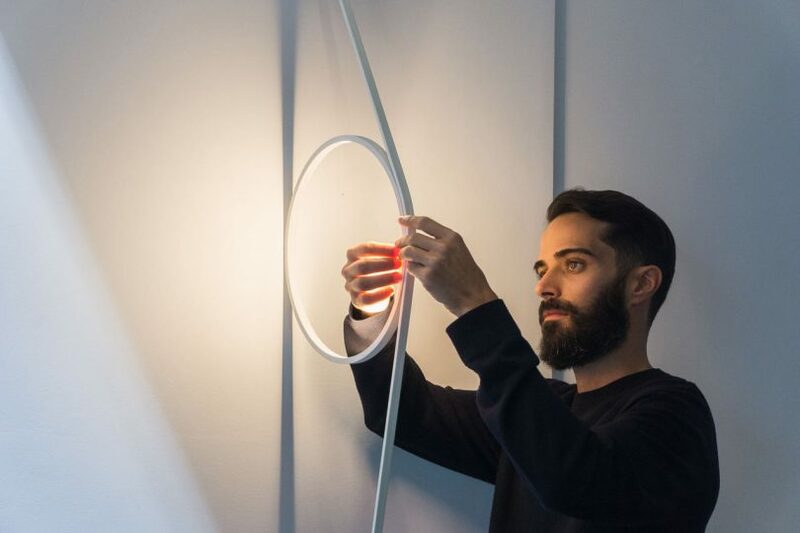 Marking their first collaboration together, FLOS and Italian artists Andrea Trimarchi and Simone Farresin of Formafantasma just launched a unique light that hovers between a wall and a floor lamp. 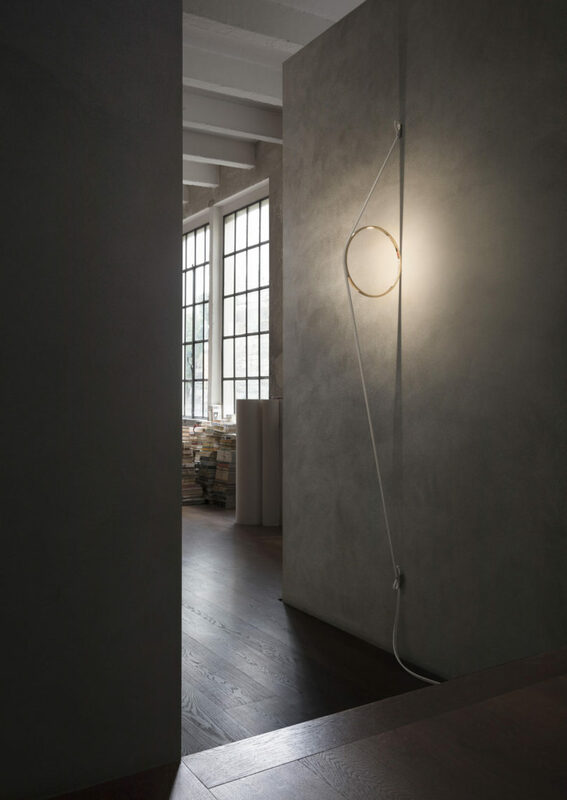 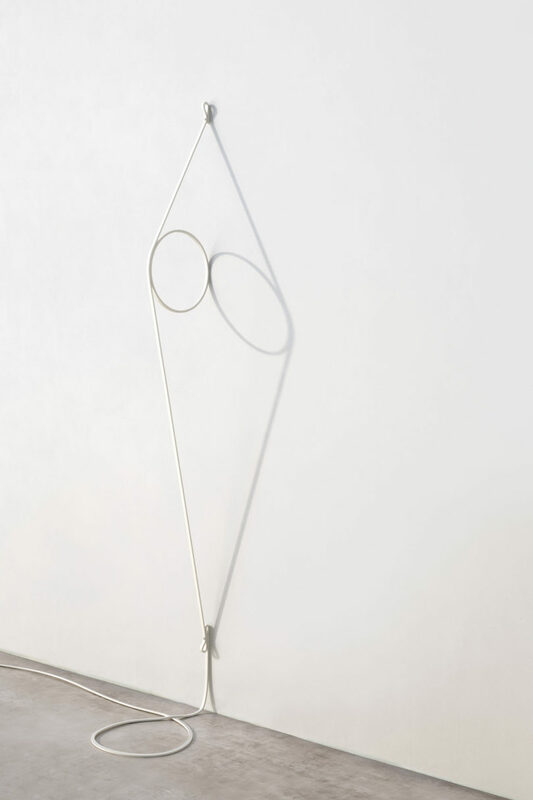 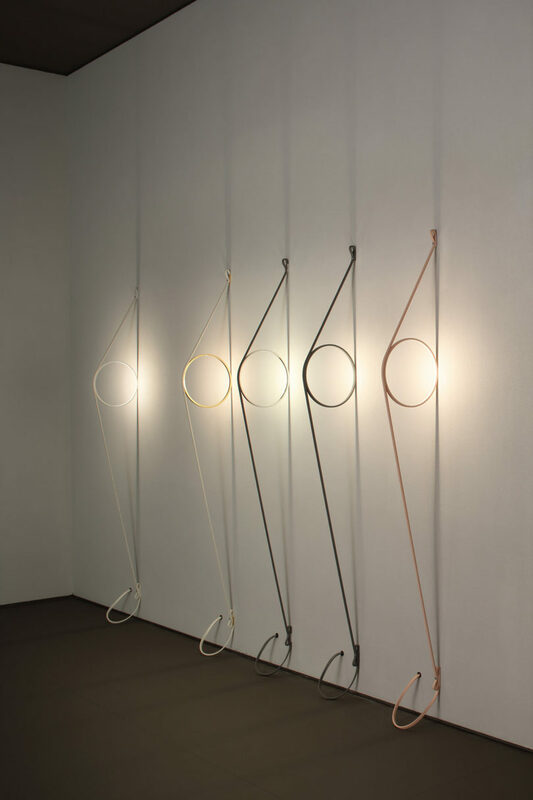 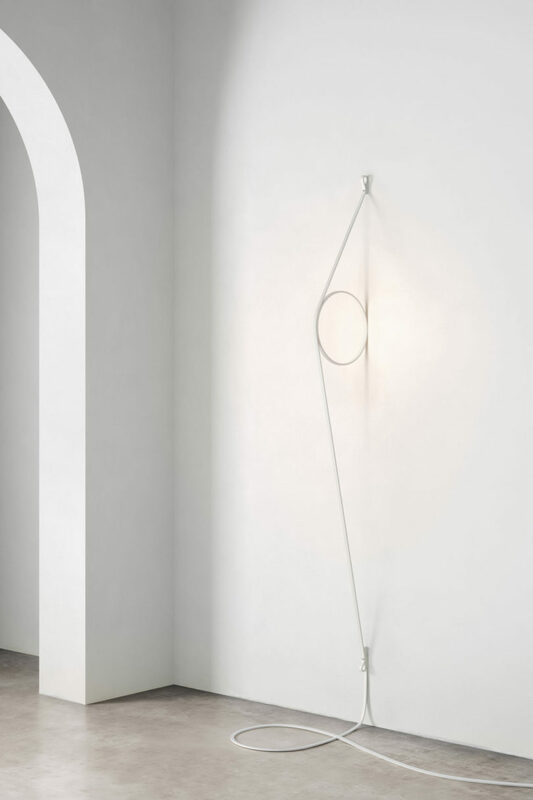 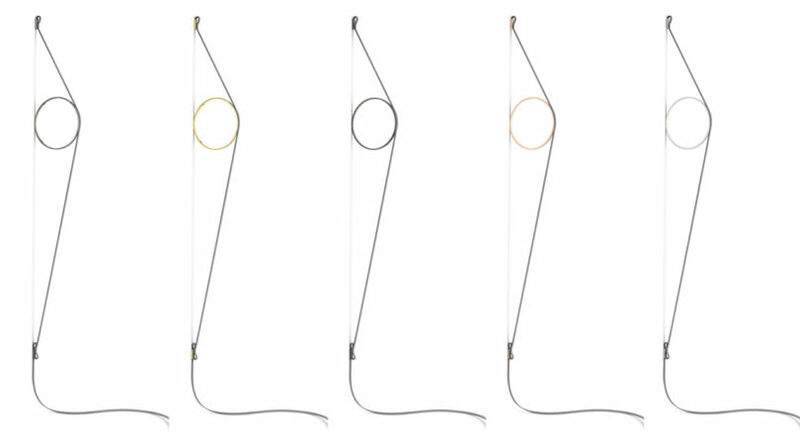 The Wirering light is a minimalist design, void of any adornment, with a ring of light held tautly against the wall by a custom-made, rubber electric cable. 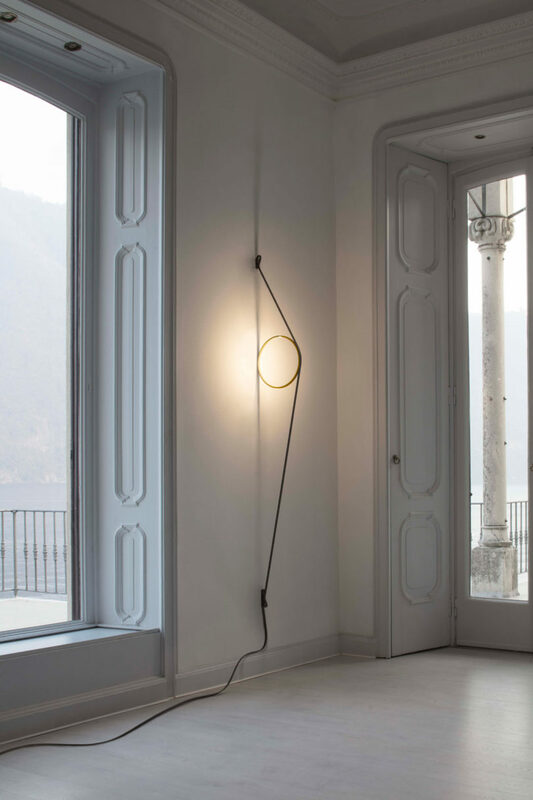 Once mounted, the fixture becomes a source of light while acting as an architectural sculpture. 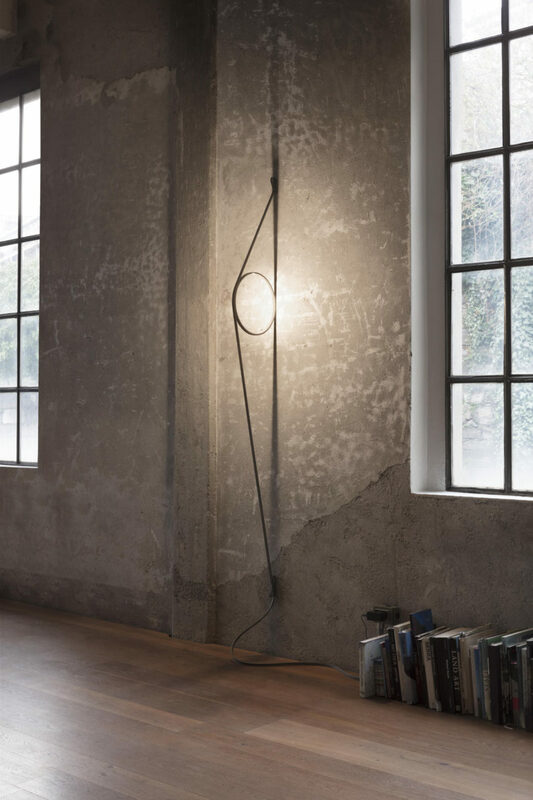 While a lamp’s cable is typically kept hidden, the Wirering prominently incorporates it into the design for not only aesthetic purposes but also to deliver power to the LED ring. 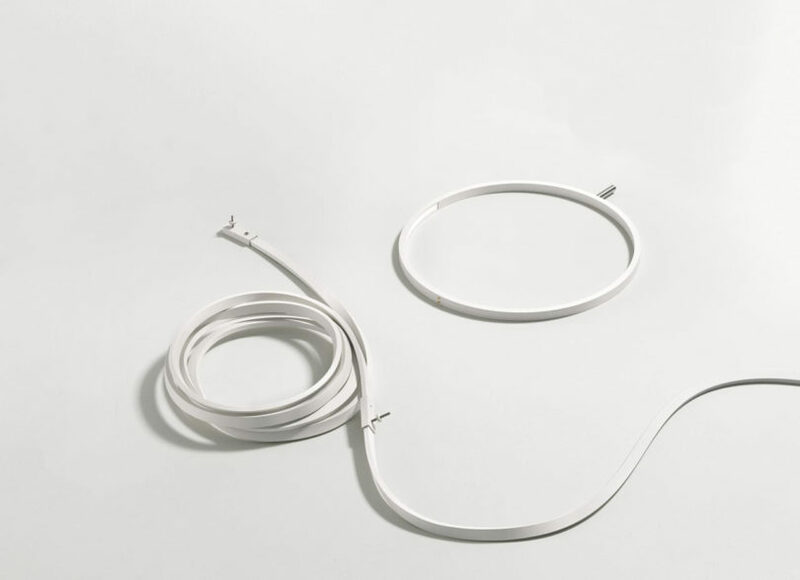 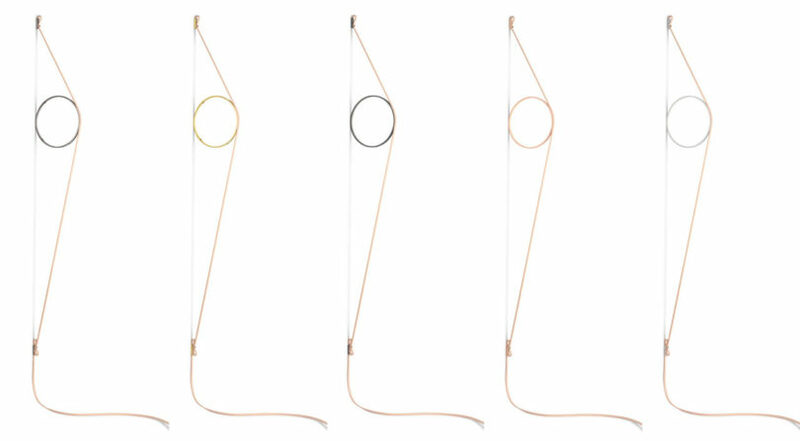 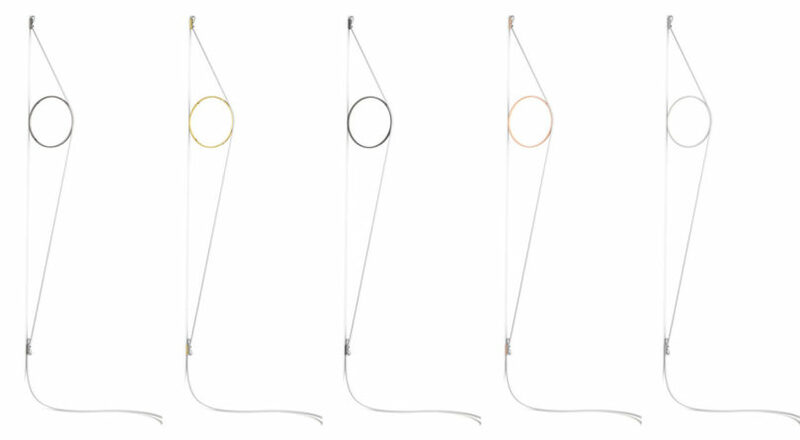 The cable comes in subtle options like white, grey, and light pink, whereas the aluminum ring is available in white, grey, pink, polished black nickel, and polished gold allowing you to mix it up for a more custom look.